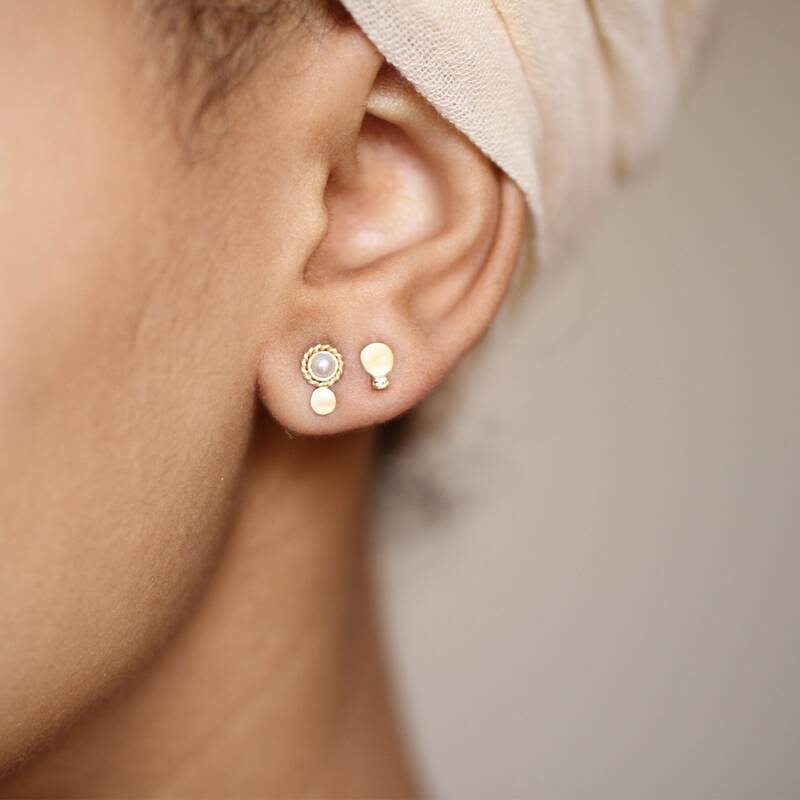 Mini Luna earrings is a collection of 18 ct mini gold stud earrings using antic jewellery technique such as granulation, rolling mill and handmade casting. 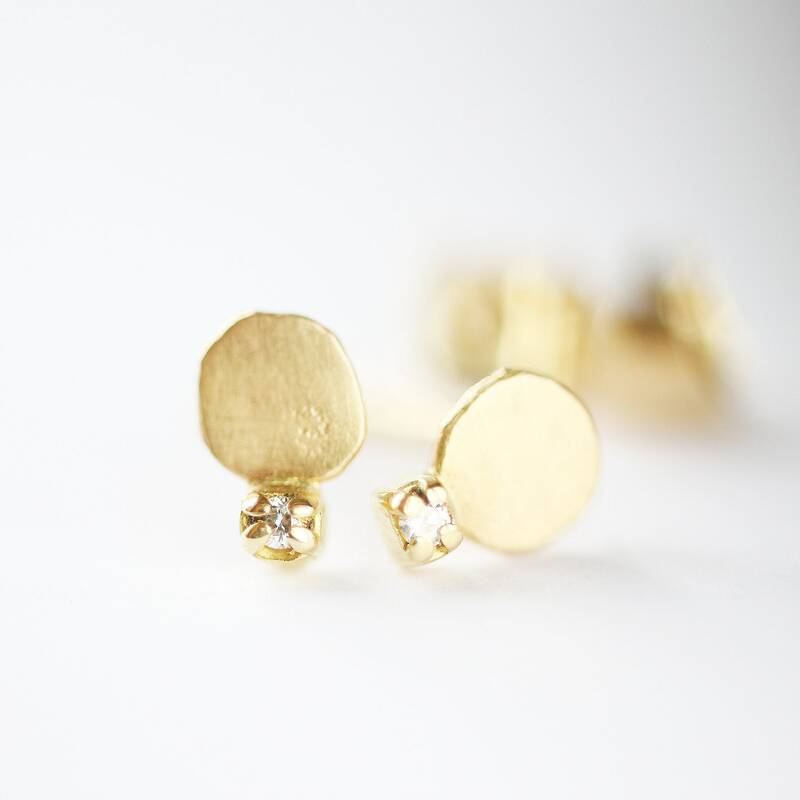 Each earring is carefully handmade and are inspired by ancient jewellery. 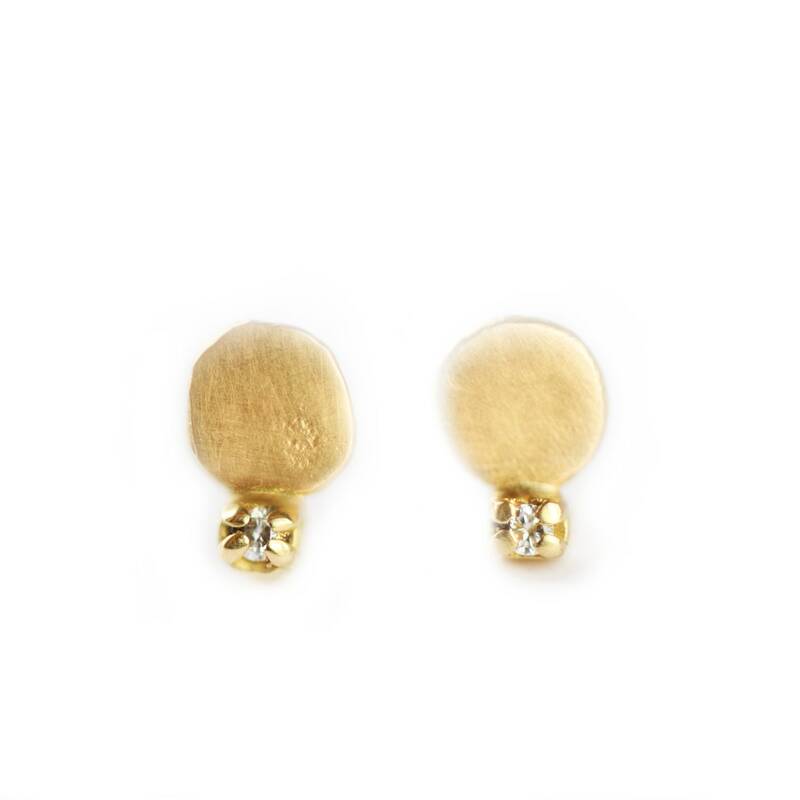 Materials includes different colours of 18 ct gold, pearls and diamonds. 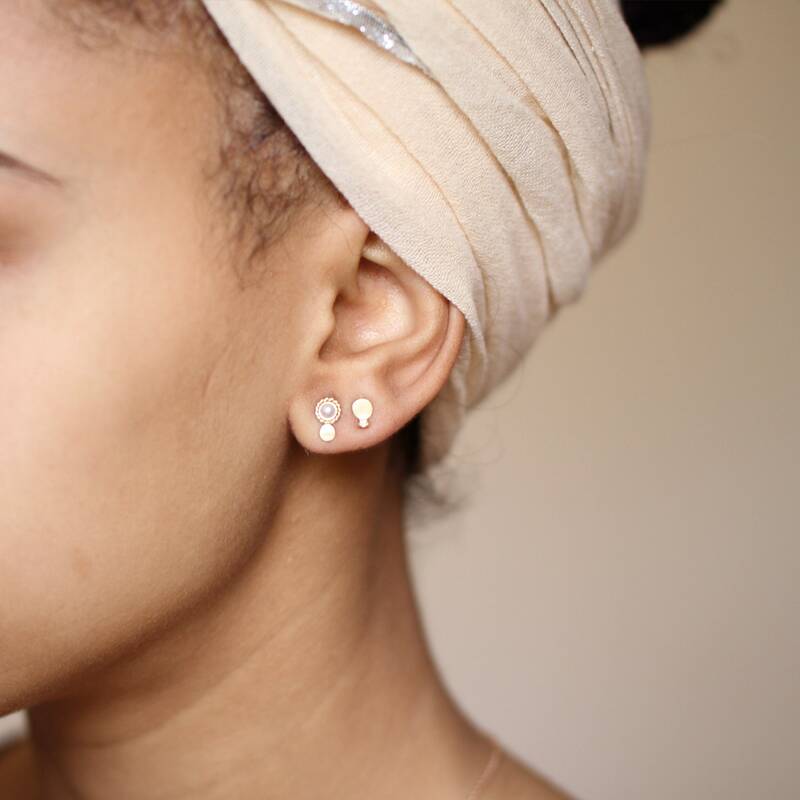 Just perfect for everyday wear, tailored jewellery with an antic twist. Absolutely love the memento mori ring! I've only had it for a few days but have already received so many complements. I really like how the ring appears so beautiful from the outside but is hiding a skull underneath to remind us life is short and to enjoy every moment. I look forward to buying more jewelry from Alice Magnin.